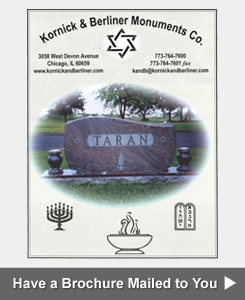 Kornick & Berliner Monument Company, based in Northern Chicago, can add an inscription or a final date to a memorial already in the cemetery. When adding engraving, we will match the existing engraving style. 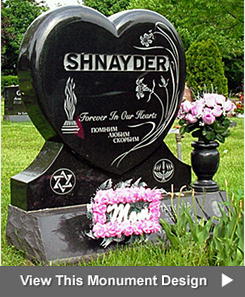 The headstone will either be engraved on-site in the cemetery or brought back to our shop. 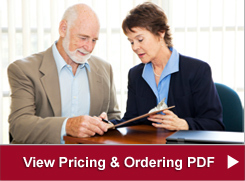 Orders are typically completed within 60-90 days. 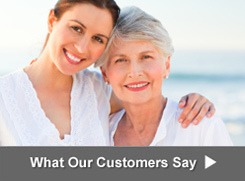 A statement will be mailed to you upon completion so that you'll know the work has been done. The price to engrave a year (Example: - 2001) is $175.00 and the price to engrave a full date (Example: Jan. 5, 2001) is $225.00. Please call 773-764-7600, or email kandb@kornickandberliner.com to place an engraving order.